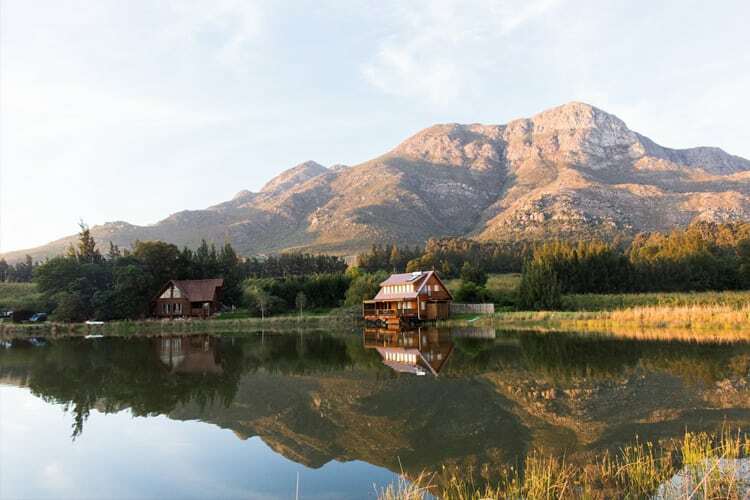 With the mountain looming behind it, a tranquil pool in front and the lush Bastiaanskloof Estate and nature reserve surrounding it, India House (named for its unique turquoise front door, imported from Gujarat, India) is the picture of perfect seclusion. The accommodation sleeps up to six people in two main bedrooms (with en-suite bathrooms and outdoor showers) and a third bedroom with en-suite shower room. The surrounding reserve, populated by over 800 plant species, 200 bird species and 50 mammal species (including the mountain leopard and chacma baboon) ensures a remote and peaceful getaway with only the sounds of nature to keep you company at night. Cosy cred There’s a large fireplace, and underfloor heating in the bedrooms and bathrooms. There’s also a library, where guests can relax with a book or a board game on rainy days. Note All cottages have the option of adding an extra single bed for R225.